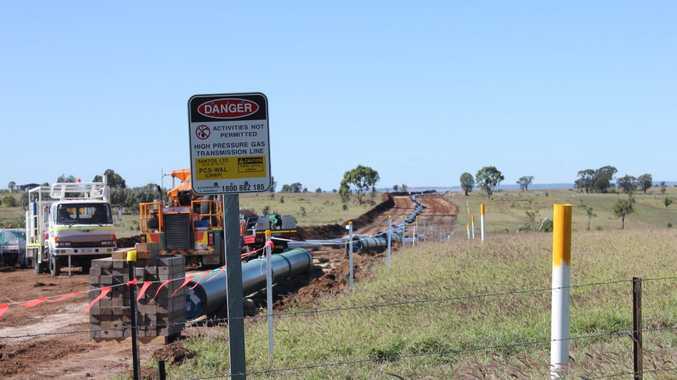 ON THE whole the gas industry has led a boom in the rural economies of Queensland's gas fields, although it hasn't been all rosy. In the Western Downs Regional Council area around Dalby unemployment has dropped from 8% to 1.7% in five years. Chinchilla's population rose from 3000 to 7000 in five years and has now hit almost 10,000 - although that includes fly-in, fly-out workers. Queensland Gasfields commissioner and Western Downs Mayor Ray Brown said the "rural exodus" had come to an end. "We are one of the very few areas in the whole of regional Australia where our agricultural population is not dropping," he said. The council has negotiated agreements with the gas companies to cover roads, sewage and housing. One gas company contributed $5.6 million to the council's affordable housing trust, while the town of Miles received a water and sewage network upgrade worth $1.29 million. Shane Charles heads up the Toowoomba Surat Basin Enterprise, which has focused on getting local businesses to benefit from the gas industry. Of its 400 members, 60% report they have direct work with the companies, from hospitality to mining engineering. But the gas regions have seen some unforeseen negative impacts too. Maranoa Regional councillor Ree Price said the industry had a huge effect on local roads. Cr Price's local road had 750 vehicles every week - mostly trucks - on a road not designed for that level of traffic, leading to the roadside cracking. Santos and Origin had funded a $1.5 million upgrade of the Roma airport to handle 90,000 people per annum but its throughput had blown out to 300,000, mostly FIFO workers. The Northern Star also interviewed people on the streets of Dalby, Roma and Tara to ask them what impacts they had seen and felt. One man from Dalby said the industry had brought more people to the area and was good for the town; that "people were spending money". A female Roma resident, who grew up in the town and now worked for Santos, said the impacts had been mixed. Rental prices had skyrocketed, while businesses had sometimes struggled to find employees who had jumped ship to the gas industry's higher wages. One semi-retired grazier from Roma, Peter, said he wished there were wells on his property.